A well done study in the CMAJ shows that 60 to 80% of physicians don't understand the treatment effects from studies. If highly trained, highly intelligent physicians don't know what's going on, what chance do patients have without any training at all? We need to do things differently. We need simpler statistics for the Science of Medicine (SOM®) behind treatments and we need to explain everything in Easy Basic Math (EBM™). Why is this important to patients? Because patients need the net treatment benefit (NTB™). However, the statistics that studies actually give doctors and patients are things like the relative risk ratio, the hazard ratio, the odds ratio, the number needed to treat, disease specific survival, surrogate outcome measures, risk difference, relative risk, ratio of means, standardized mean difference, and so on and so forth. Shockingly, Dr. John P.A. Ioannidis, MD, DSc, wrote "Why Most Published Research Findings Are False" in 2005. It struck a chord as Ioannidis has been cited 3,130 times according to Google Scholar. In other words, understanding treatments is a mess for many different reasons! 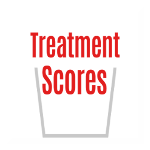 "Do clinicians understand the size of treatment effects? A randomized survey across 8 countries." by Bradley C. Johnston, Pablo Alonso-Coello, Jan O. Friedrich, et al. October 26, 2015. PCORI Funding Announcement: Communication and Dissemination Published May 22, 2012. Revised September 17, 2012.